AUTUMNZ BLISS single electric breastpump RM2XX !! with free gifts worth more than RM100!! NAK PAM ELEKTRIK YANG BERKUALITI dan MURAH? Dengan pelbagai FREEGIFT LEBIH DARIPADA RM80! ➢ Boleh Elektrik / Bateri / Free USB cabel so mommies yg ada power bank dah boleh guna dan free manual pump! Para ibu boleh cepat-cepat order, limited unit!! Previous MALISH ARIA double breastpump ON SALE! 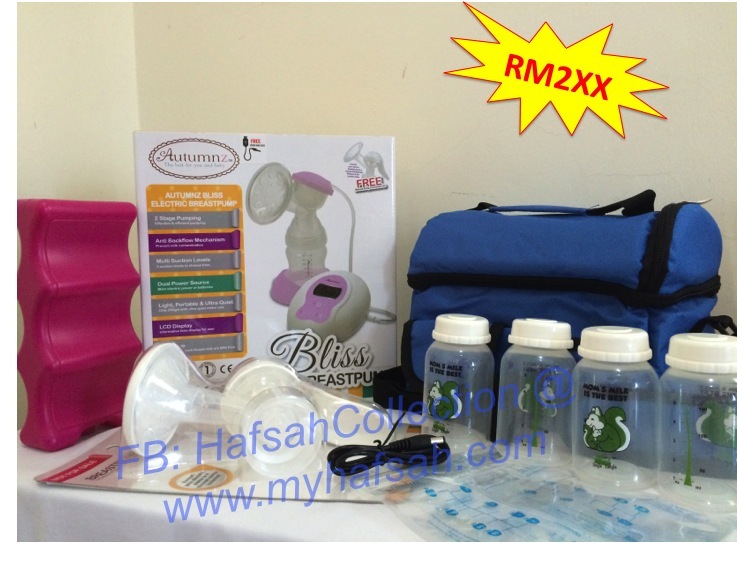 only RM399 Next LACTE SOLO ELECTRIC BREASTPUMP + FREE GIFTS RM259! !